Finally, we came to the last four contemporary tools for home aromatherapy: indoor plants, USB flash aroma diffusers, spray air fresheners and scented cubes. For all time plants have given people their wonderful odors. And essential oils, without which aromatherapy wouldn’t exist, are derived from them. But why use a concentrate, if we can put an original source of pleasing fragrance right in the room? It’s scientifically proven that indoor plants are able to cure diseases, disinfect the air and lift the spirits. Thus, the rose removes tiredness, the rosemary enhances memory, and citrus fruit get your blood pressure under control. And besides a pleasing odor, you get a wonderful piece of décor. This is something brand new on the market of aromatherapy accessories. USB flash fragrance diffusers allows for working on your computer or laptop and enjoying aromatherapy at the same time. Thus, it can be used anywhere – at home, in the office, in an airport or in a park. This is a common USB-flash with a special mini-reservoir for essential oils. As soon as plugged in, the USB flash starts heating and releasing a pleasing scent. This simple device has already got accustomed in our homes and had become widespread internationally. 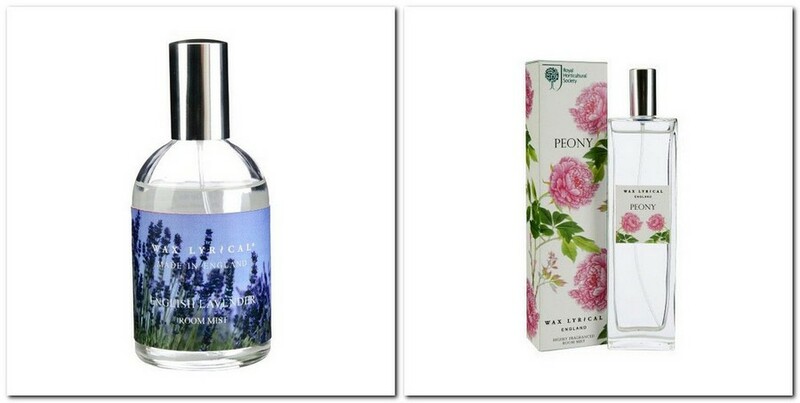 Of course, its effect can be hardly called therapeutic or compared to aroma lamps and diffusers. But if you have unexpected guests and need to freshen the air as soon as possible, it’s absolutely irreplaceable. You love scented candles, but want to find a good alternative, which neither uses open flame, nor requires supervision. 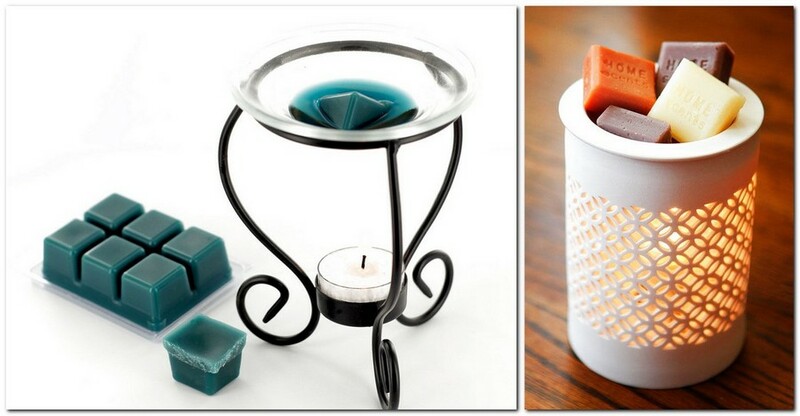 A great option is to set your choice upon scented cubes. The easiest way is to put them into a pomander (a ball made of perfumes). And if over time the fragrance becomes less saturated, just scrape the cubes surface with a common knife and it will smell fresh again. 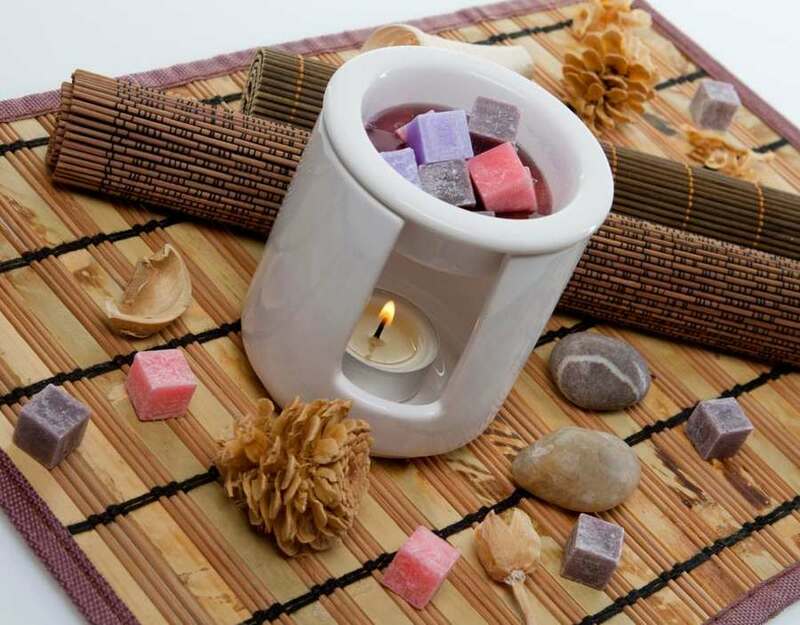 There are also wax cubes that can be used in waterless electrical aroma lamps. All you need is to place the cube into the bowl and as soon as wax starts melting, your home will be fulfilled with a comforting aroma.